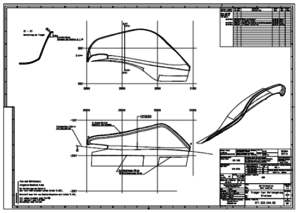 A good CAD drawing has everything you need for the transferal of information. Apart from geometry and geometric dimensioning, one finds a multitude of textual information, like tolerance specifications without reference to geometry, manufacturing instructions, BOMs, modification history, standard parts measures in various values, references to additional documents necessary for production… and a lot more. This is how it is in many manufacturing companies. Guideline 4953, “Simplified Drawing” creates drawings which are easier to maintain. Conventional drawings are very difficult to maintain. A lot of information is pooled, which also exists in the product data management (PDM)— and belongs there! But information which is entered twice is mostly wrong in one place. Moreover, the maintenance of CAD data can only be carried out through highly-trained and expensive designers. And what’s in the drawing can only be processed by humans. This information remains hidden in automatic search and processing via machine. The VDA Guideline 4953 “Simplified CAD Drawing” tackles this problem. Simplified Drawing consists of a CAD drawing (neutral format), CAD model (3D and native), and master data (XML). Here one should take care that it clear at all times which versions go together. The drawing should always be derived from the 3D model; it should not have a life of its own, whereas the master data should be maintained separately from the model. An XML schema is defined for the master data. The guideline deals with a standardization of the master data to be managed. All master data and descriptive texts should be reduced to a minimum and managed in the corresponding PDM system. If a drawing is transferred into a simplified drawing according to VDA 4953, this minimizes the administrative expense for the master data. But the process now lacks important and relevant information which it used to be able to get from the drawing. The process is now forced to take this information from the PDM system, which is more difficult to manage. 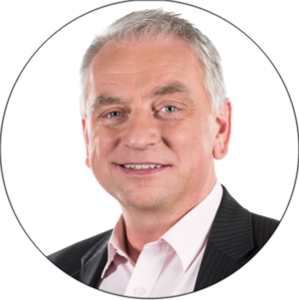 The obvious thing to do is to link the PDM-managed data with the drawing structured on master data sheets. The master data sheets are just another human-readable representation of the data from the PDM. It is only a copy whose content is always identical with the PDM data. How can such master data sheets be created in practice? SEAL Systems has created a solution for this using proven DPF technology. On the input side the DPF is first provided with the drawing from the 3D CAD model. 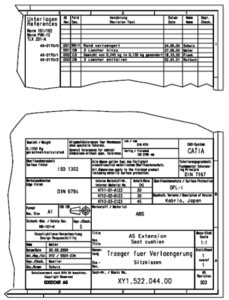 A corresponding DPF process creates a PDF/A drawing from it. Furthermore the master data for the master data sheets is transferred to the DPF. The DPF creates nice, transparent representations via integrated report generator. This is firmly linked to the drawing’s PDF files. This procedure is normally carried out with the drawing’s release. The desired result is a PDF/A suitable for long-term archiving: simplified drawing + master data sheets. Contact us to learn more about implementing VDA 4953.